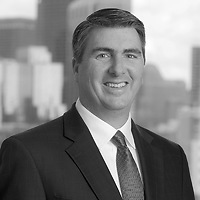 John G. Loughnane, a partner in the Business Department, published “Valuation of Social Media Assets” in the December 2015 issue of ABI Journal. The article explores methodologies for valuing social media assets, in light of valuation issues arising in bankruptcy cases. The broad definition of a section of the Bankruptcy Code, which states that property of an estate consists of “all legal or equitable interests of the debtor in property as of the commencement of the case,” was expansive enough to encompass the social media accounts of a debtor as recently confirmed in In re CTLI LLC, which determined that social media accounts constituted estate property. In the case, the court confirmed a chapter 11 plan for the business debtor, proposed by a minority stakeholder, over the objection of the former majority owner. The confirmation order required that “social media accounts, including but not limited to Facebook and Twitter” related to the business debtor be delivered to the new owner of the reorganized company. While the court in CTLI correctly observed that “to ignore the value of social media assets would do injustice to debtors and creditors alike,” the court was not required to determine a value for the accounts. With the popularity of social media and the critical role of valuation in the bankruptcy process, it’s a given that such valuation issues will arise in future cases. John notes that it is appropriate to consider the value ascribed to such accounts in nonbankruptcy contexts as a starting point. CTLI determined that social media accounts could constitute property of a debtor’s estate, however, to this point, there has been no discussion of how to value such assets and no consensus on the best approach. John points out that application of the income approach, as well as other methods, will be dependent on the nature of the business and social media asset being valued and (in particular) the availability of data.